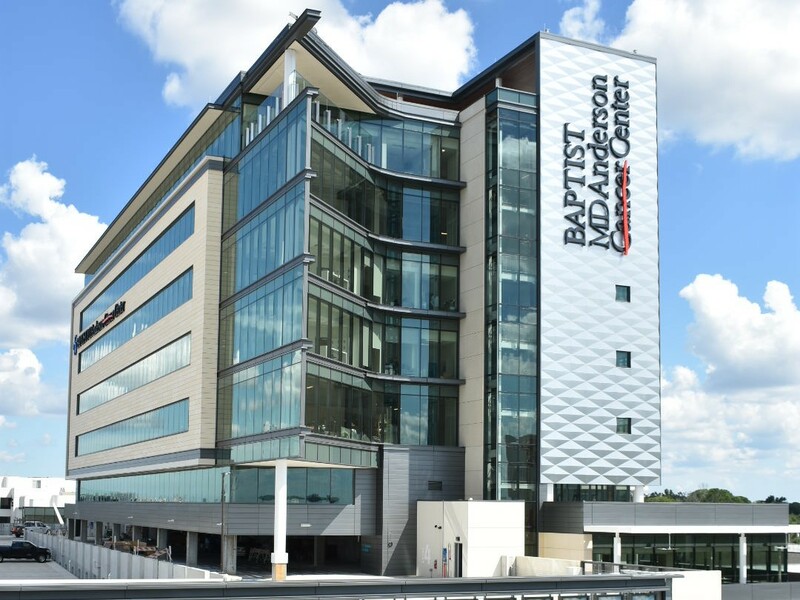 Baptist MD Anderson Cancer Center is a 9 story, 330,000 square foot cancer treatment facility that combines the clinical breakthroughs of the number one cancer center in America and the full resources of North Florida’s largest and most preferred health system. 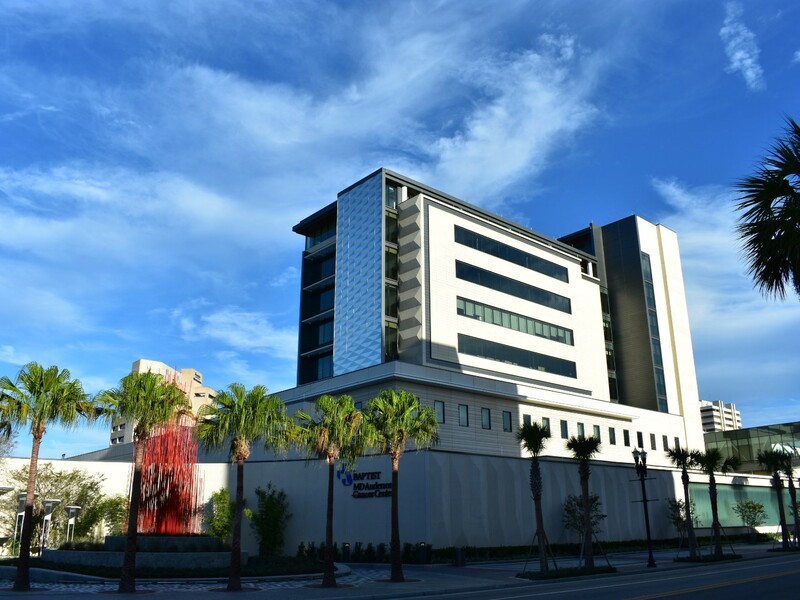 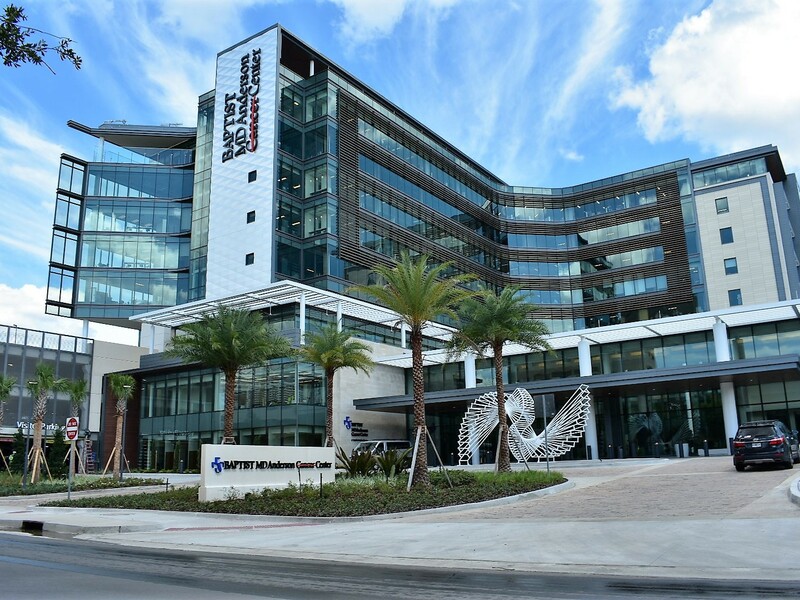 Their world-renowned doctors and team in Jacksonville provide access to the latest clinical trials, innovative technologies, and new targeted therapies, combined with holistic support for every aspect of care including nutritional guidance, genetic counseling, art therapy, physical therapy and yoga. 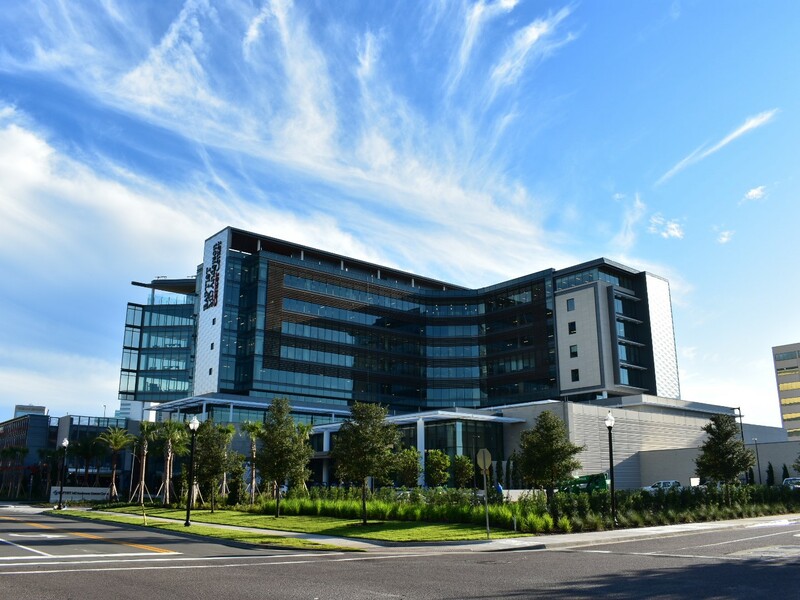 The project construction cost was 184 million dollars. 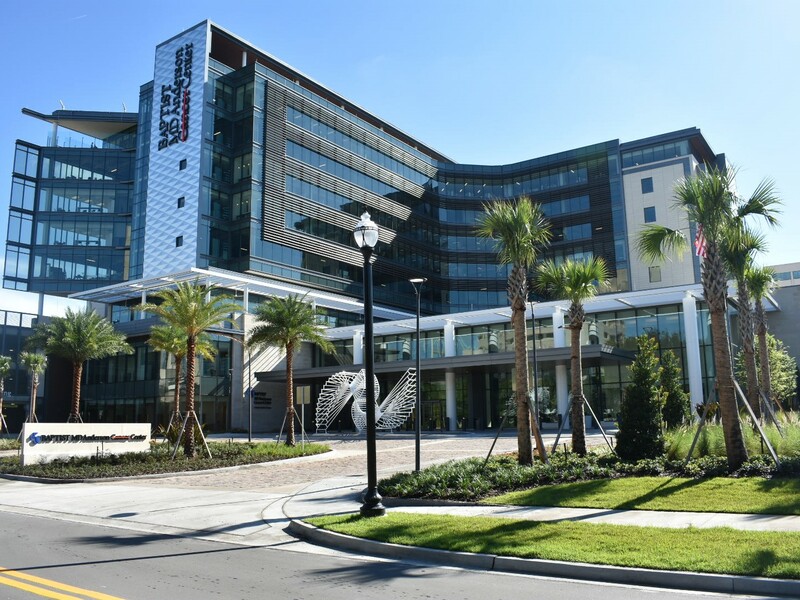 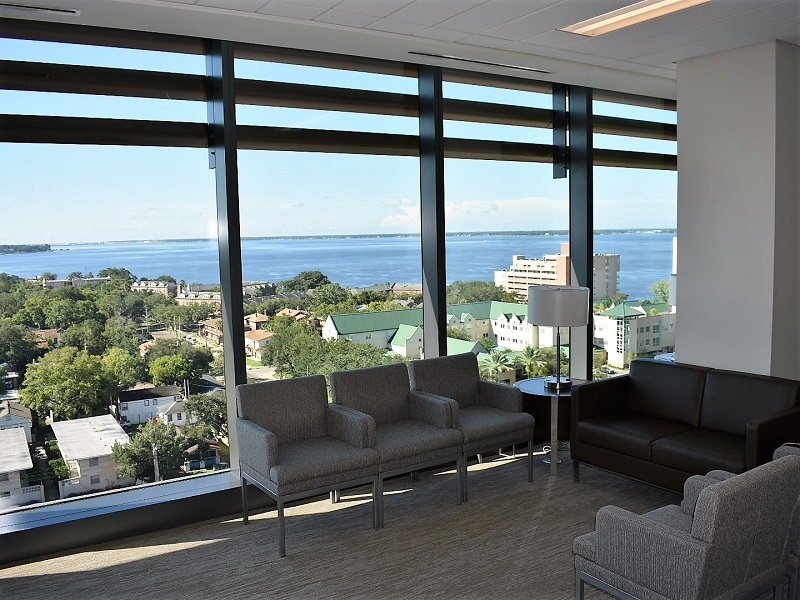 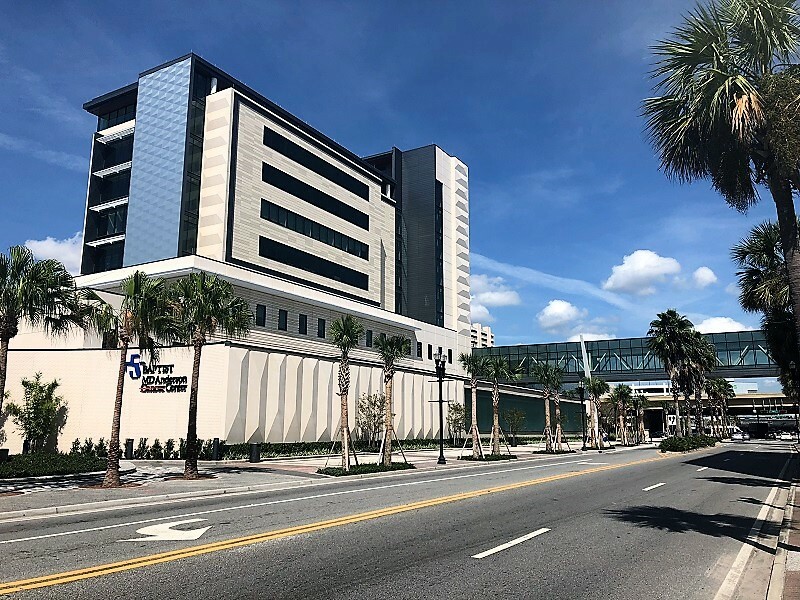 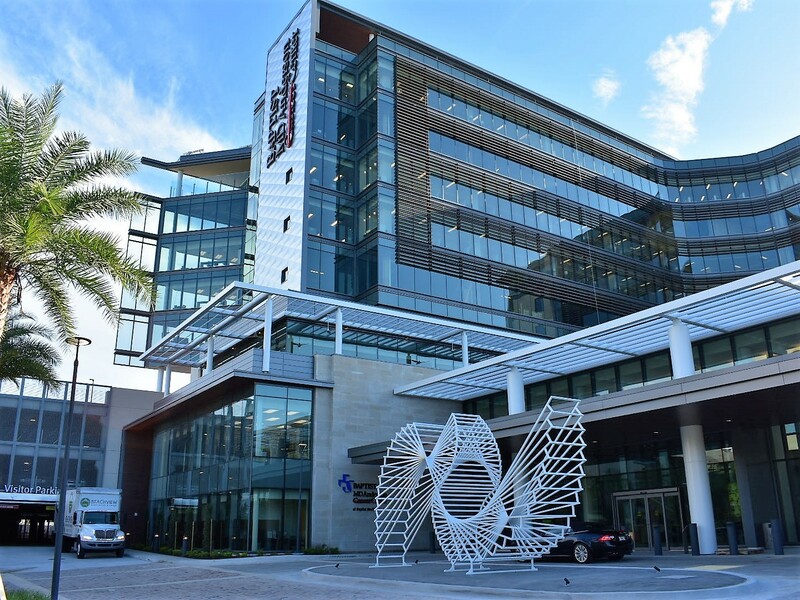 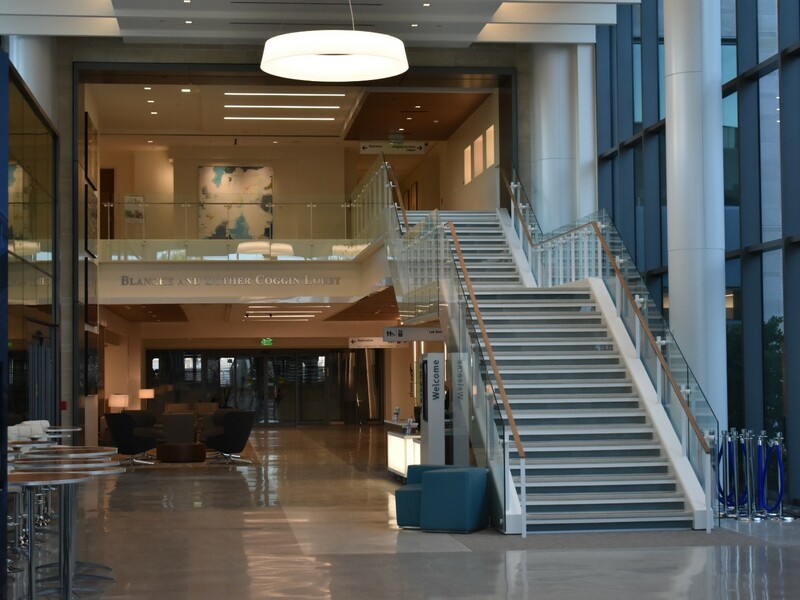 The project has several major building components including the main cancer center, the pedestrian bridge across San Marco Blvd to the Outpatient Center, the LINAC Vaults, the Parking Garage, Hope Park and the Lobby and Courtyard. 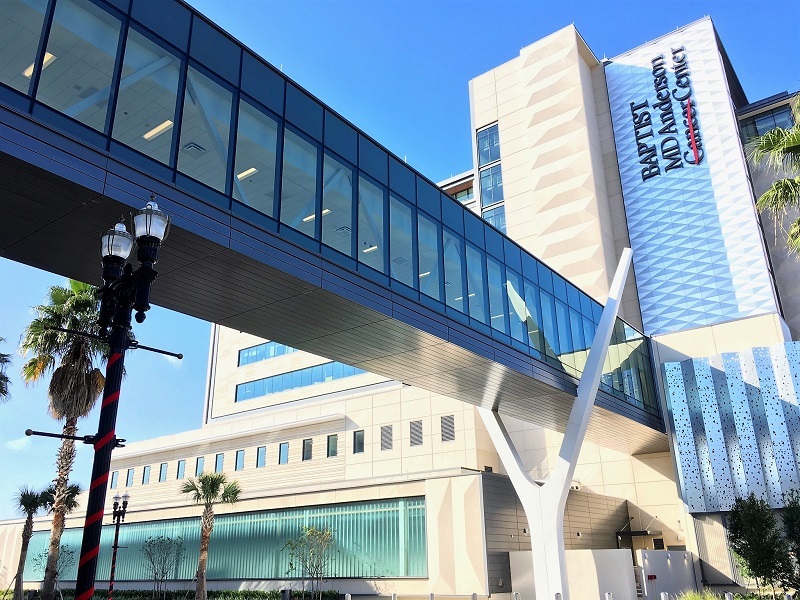 The structural design of Baptist MD Anderson Cancer Center consists of a typical composite steel deck floor system supported on steel beams and columns. 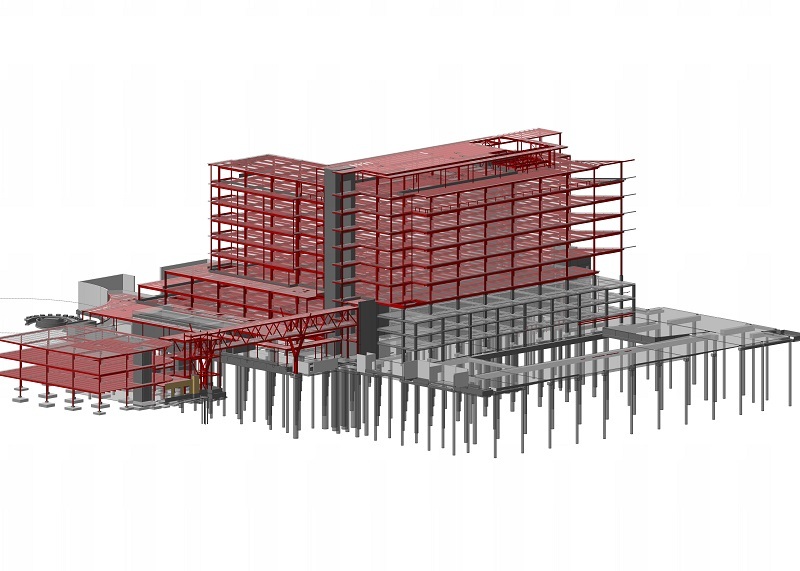 The foundation system consists of drilled shafts and drill shaft supported mat foundations. 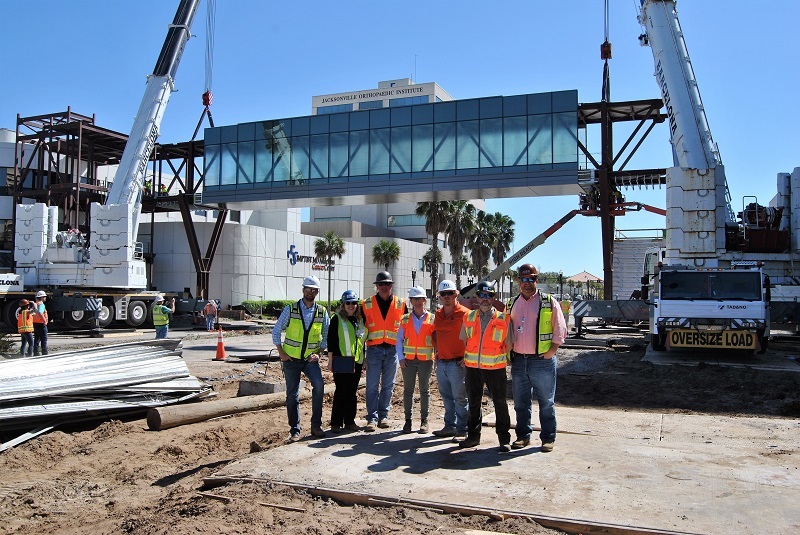 The project site had very weak soils and required stiffing of the soil with rigid concrete inclusions. 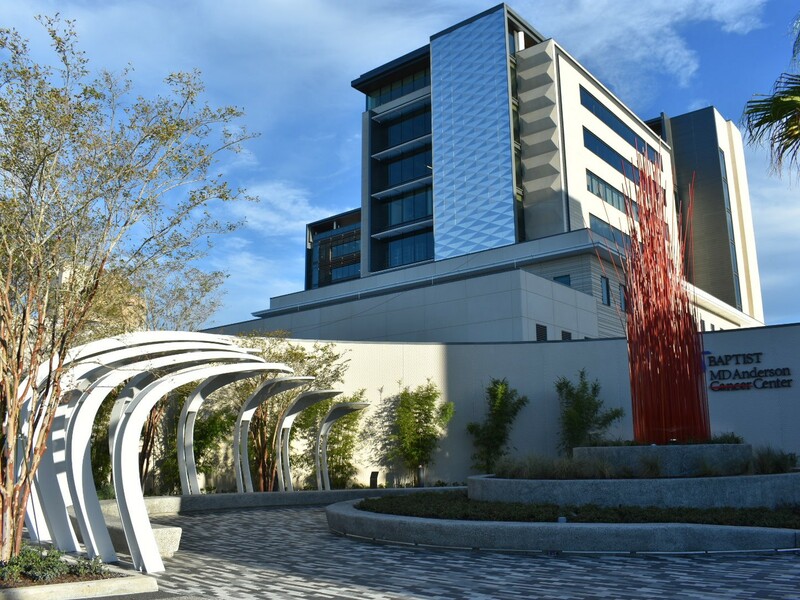 The irregular L shaped building required a building expansion joint with unique geometry to coordinate with the curtain wall. 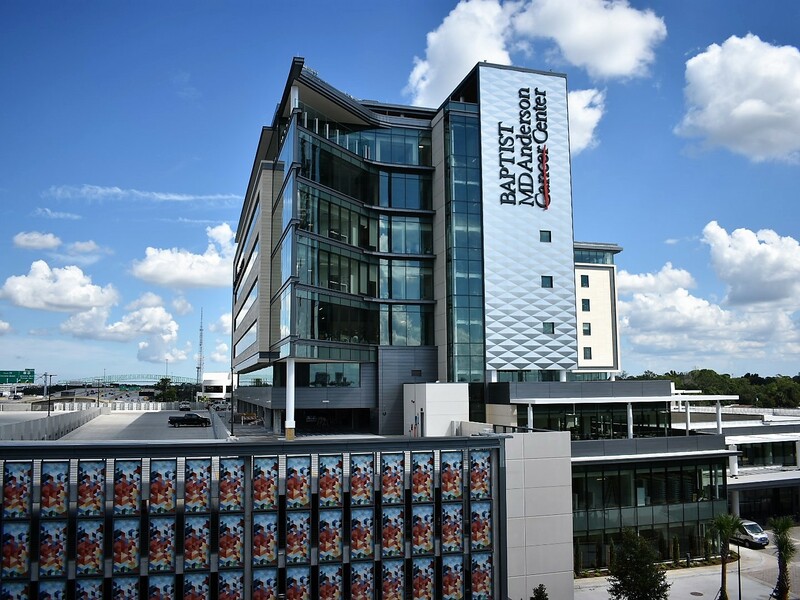 The vertical lateral resistance systems incorporated in this building include, concrete shear-walls, moment frames and braced frames.The parking garage is partially cast in place concrete with the remainder comprised of precast concrete. 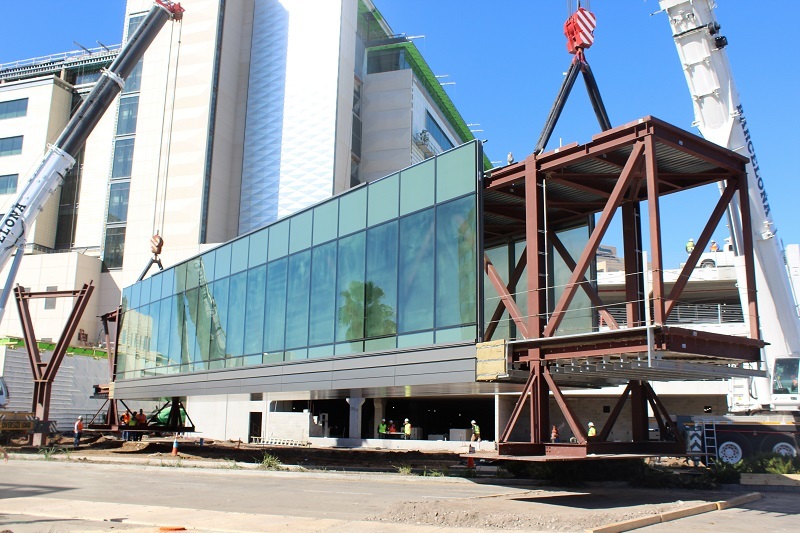 The three LINAC Vaults consist of heavyweight concrete requiring a mass concrete placement plan with special consideration given to formulate concrete mix design to control temperature for placement during the summer months. 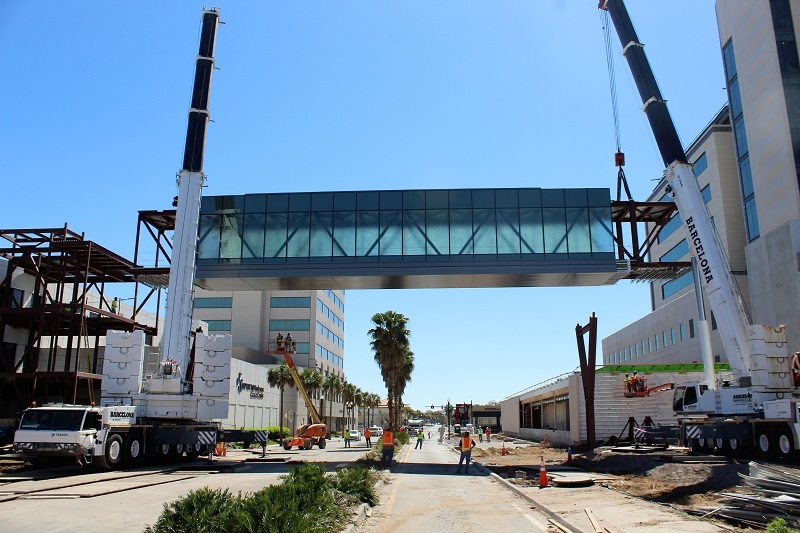 The Pedestrian Bridge is constructed of steel trusses made up of HSS members supported on w-shape “Y” shaped columns.